There are two types of mailing services that we offer: traditional mailing and EDDM (Every Door Direct Mail). If you would like to do a traditional mailing campaign, you can contact us for design and production options. We can design, print, purchase a mailing list, and mail the finished pieces. Below, you will find information about EDDM, which is a more economical way to send your pieces in the mail without a mailing list. Accent Printing Solutions can work with you to create a direct mail campaign that is customized, affordable, and targeted to your specific neighborhood. And what's best, you don't even need to purchase a mailing list to make the campaign work. 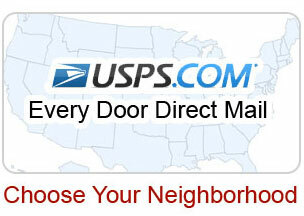 Thanks to a new program by the US Postal Service, you can reach every single business and residence in your selected area through Every Door Direct Mail (EDDM), no mailing list required. Let Accent Printing Solutions guide you through the process to help make sure your mailing campaign is a success. Design your marketing piece and scale the mailing campaign according to your budget. (sizes can be 8.5x11, 11x6.25, 12x4, 10x7). Send large, full-size direct mail postcards and pay only 18.3 cents postage per piece (printing and design not included). Target specific sections in your local market. Drop the mailers yourself to the local post office when you want—no additional postage fees or mailing permit needed. Mail 200 to 5000 pieces per day without buying a mailing list. Just click to pick out your target market. 2 Then contact us to get started. 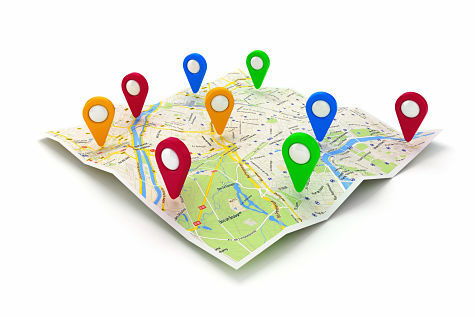 We'll help get your message out there quickly, efficiently, and cost-effectively.